Home / Blog / Shopify / Is Shopify The Right Platform For Me? What e-commerce platform should I use? To answer that question, at Absolute Web Services, we typically start with a blank canvas meeting to understand your needs. However, for the purpose of this article, we are going to review Shopify, pros and cons. Additionally, we will review WooCommerce and Magento in the upcoming weeks, concluding with a comparison article. We are hoping this let’s you decide which platform coincides best with your objectives. 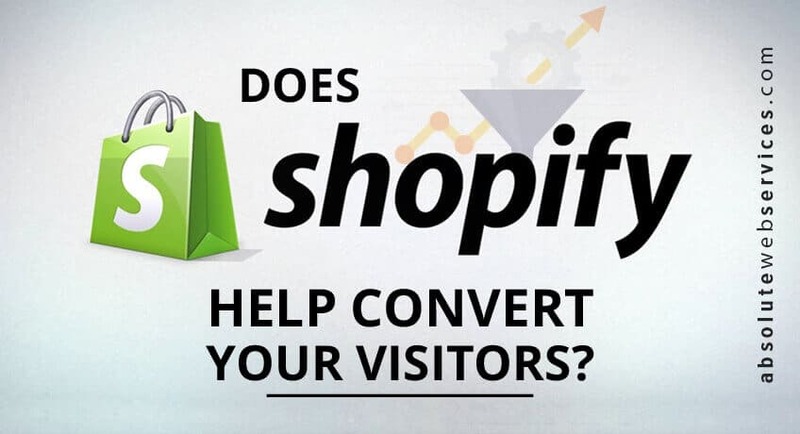 So here is a little secret, Shopify is the little commerce engine that could, and should be able to offer all the functionality your store may need, it just depends on what your store is. Want to start selling… Like yesterday! It’s true… Shopify is easy, fast, and convenient to use! It offers quite a few bells and whistles, is hosted, and allows you to buy a domain all within the Shopify walled garden. If that’s all, you need to know, cool! Shopify is an enticing out of the box solution. Unlike, WooCommerce or Magento, it does not require your hosting environment, development, or even designing skills to start. The Shopify platform also allows for some customization, and should be considered far superior to WIX and Weebly, where any growth would mean migrating away from those platforms above, Shopify is scalable – to some extent. Let’s first list the good. It’s super easy to start, and you have over 100+ themes to choose from. Although convenient and get you started quickly, your store will walk into the party and see another store with the same dress on. Big no, no? No sweat, you can work with a Shopify Expert, like Absolute Web Services, to customize your Shopify store. Does your product convert at a higher rate when the story and the support lifestyle are illustrated? No problem here! Shopify comes with a full blogging platform. Also, don’t worry about high mobile bounce rates, Shopify comes 100% mobile commerce ready. Ability to work with Shopify experts, like Absolute Web Services. Automatic taxes (fine, maybe this is an Uncle Sam feature, but it’s nice to have it calculated automatically). Now here is our main qualm! The check-out process, you know where you ask for the swipe, is not entirely customizable. This has long-plagued Shopify for much larger or growing stores. Expert ecommers want to control the buying process from A to Z, not from A to X. Again, for new store owners, or first-time ecommers X is good enough, but until this is corrected, we can’t grade Shopify any higher than 6/10. Now, again, Shopify makes everything easy and straightforward to find and follow. Customer profiles/accounts are created to show order and browsing history. This allows you, as the store owner, to encourage repeat shopping with savvy promotions. This is perfect for first-time store owners, but for advanced marketers, user behaviors reporting will never match the depth provided by Google Analytics. 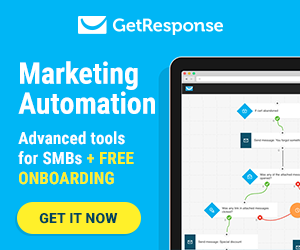 More so, you will continue to use external tools for touch point management, like email promotions and automation. When it comes to order fulfillment, has pre-set plugs for Amazon, Rakuten, Super Logistics, and Shipwire. Custom fulfillment solutions are possible, but we firmly suggest working with a Shopify Expert, like Absolute Web Services, for custom fulfillment integrations. Similarly, Shopify offers out of the box integration with apps like Ordoro, Inventory Source, and eCommHub for drop shipping. Once again, Shopify, models it solution for direct out-of-the-box selling, but for advance stores or brick & mortars with warehouses and fulfillment teams, Shopify still leaves them with the need for custom development. Email Templates/Emailing. Half-way decent, but if you’re used to mail chimp, you will not trade the ease of automation for Shopify native emailing. So what’s the verdict when it comes to Store Management? Well, we say 7/10 there are some pretty nifty features, and new store owners will certainly appreciate them, but advanced store owners/marketers will not trade their current tools. Speaking of marketers, you created a store; you must be wondering how people will find it!? Once again, Shopify offers some pretty cool features. Let’s get some pretty basic things out of the way. 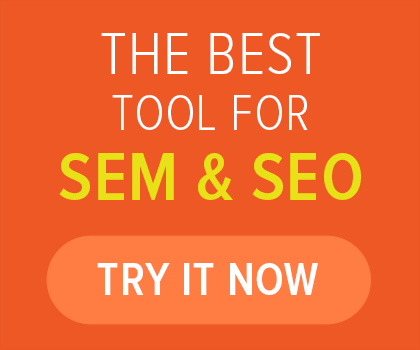 Shopify will provide you with a Sitemap.xml. Not excited? Well, with limited file uploading access, this Google-technical-SEO item is checked off. Shopify also allows you to offer discount codes and a coupon to support promotional efforts & campaigns. Want to offer gift cards? Shopify has you covered! Have a large following on your social media platforms, such as Pinterest, Instagram, Facebook, Twitter, and Tumblr? Perfect, you can automatically integrate with your store. I want to discuss are intangibles. These are features that drive the Shopify story, and outside of principal components, are note-worth unique value propositions. Ecommerce University. You will find ebooks, video series, and webinars about how to sell online and increase your sales. 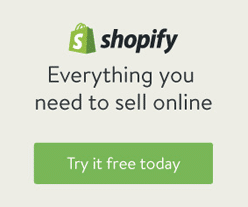 First off, Shopify offers a FREE 14day trial. Ready to start now? Click here. Shopify lists three plans, with the secret plan (get to that in a minute). 24/7 support, fraud analysis, manual order creation, discount codes, website + blog, Free SSL certificate included. This offering will prove to be very limiting. You will miss the additional shipping label discounts, abandoned cart features, gift cards, and shipping/carrier shipping integration. You will get everything above, including the ability to sell Gift Cards, an additional three staff accounts (5) but you will not receive real-time carrier shipping rate/integration. Advanced Shopify at $299 a month. Yes, you are paying over $200 a month more for real-time carrier shipping rate/integration. Need more enterprise features, noticeably, a complete custom check out experience? Shopify Plus is built for larger stores and can start at $1,500.00 + a month. If you are interested in Shopify Plus, please contact a Shopify Expert, like Absolute Web Services, for a free needs assessment. ***This article is comparing e-commerce platforms, not credit card processing companies. Shopify does offer credit card processing and may be our next series of articles, but for the sake of this series, we are excluding these rates from the overall pricing. If you are a new store owner, want a complete turn-key solution, are perfectly okay with potential customization limitations, and do no mind your monthly subscription fee increasing as your store needs evolve, then Shopify is a 50/50 for you! This review was written with all store types in mind. This high-score was driven by over 100 templates to open your store with, custom HTML/CSS for custom web design, and the ability to work with a Shopify Expert, like Absolute Web Services, to brand and create the look for your store. This score was driven by many available management tools, including a Mobile Application for managing your store on the go. Con’s include real-time carrier integrations are available with Advanced Shopify, some features are superficial at best and not suited for advanced stores, and the final stage of the check-out process is not customizable. Great for new store owners that need launch-point help. However, like many Shopify features, advanced stores and marketers will not trade their current marketing tools for the one’s offered natively by Shopify. Shopify is a hosted-solution and is backed by a 99.99%, scale/upgrade anytime hosting. Additionally, 24×7 monitoring and live support give store owners’ peace of mind. Similarly, daily back-ups, help-desks, and knowledge base allow you to play around your Shopify store management, take risks, and know you can always revert to a saved backup. Lastly, a growing community and Shopify experts, like Absolute Web Services, allow for enjoyable store ownership. 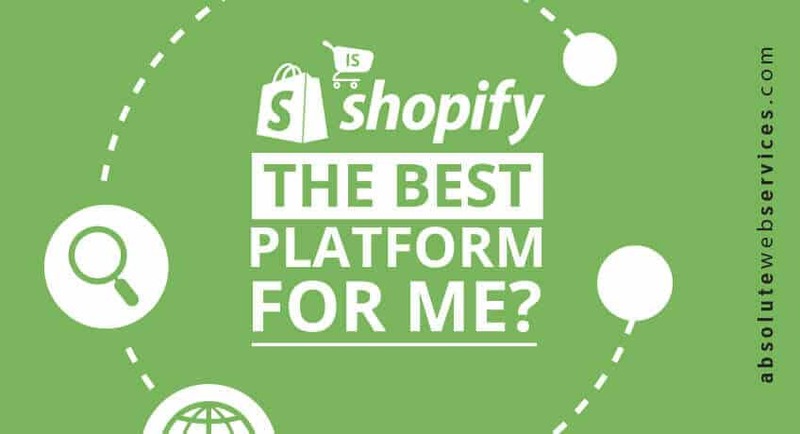 Shopify was not rated 10/10 in this category because like other categories if you are an established store with a secure hosting environment, and similar network, these feature’s are redundant and not drivers for you. Shopify is the only one of the major commerce platforms that are offered at a monthly rate. This turn-key-solution is a major plus for new store owners but could be an on-going cost for larger stores that will require either an upgrade to Shopify Plus or potentially migrate to another platform for greater control and platform leverage. All in all, Shopify is a GREAT starter platform. It offers advanced features and does enable you to start selling from day one. Advanced and growing stores may find the platform/hosted solution to be limiting and quickly find themselves upgrading through plans for the customizations/access their store requires. We highly recommend Shopify for all new store owners and would welcome a blank-canvas discussion with established store owners considering a move to Shopify.